Despite the rain few thousand people have gathered to commemorate 10th anniversary of Prekaz battle. 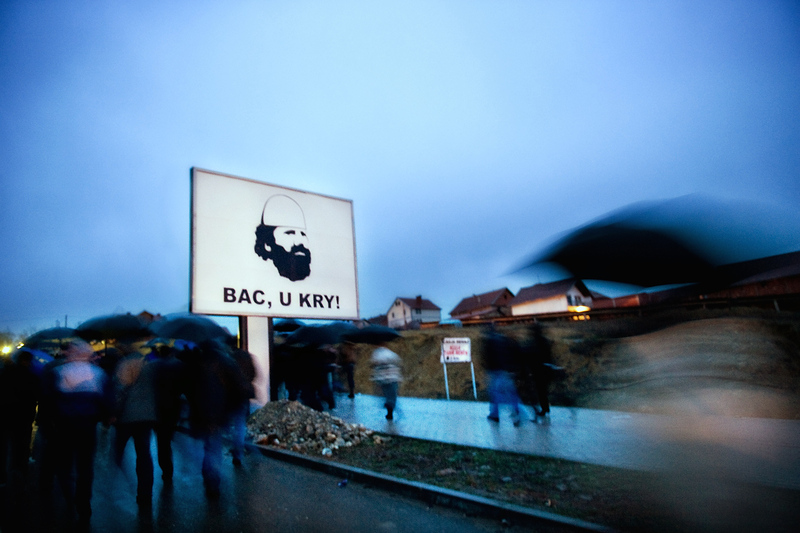 Commemoration of the tenth anniversary of death of Jashari family was marked this year with a banner "Bac, u kry" (brother, it's finished") referring to Adem Jashari that Kosovo has been declared independent and the long lasting freedom came. Fifty two members of Jashari family were killed during the three day siege of Prekaz village in 1998. the youngest of the family Blerina Hamez Jashari was only seven while the oldest of Jashari family killed was Shaban Murat Jashari age 74.